I truly believe every pet is a hero. 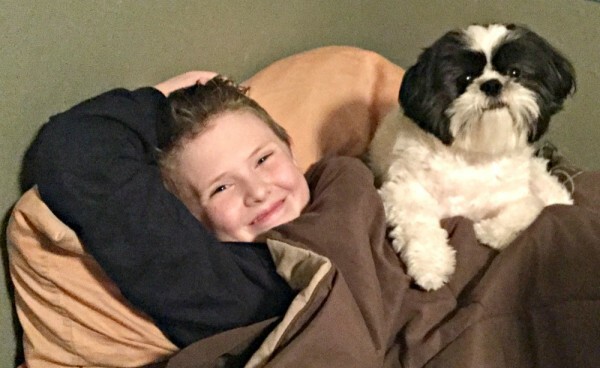 Whether your pet has ever literally saved your life, which happens all the time, all over the world, or like our fur baby, Baxter, is our every day hero by loving us unconditionally, our pets are heroes. I agree with my son wholeheartedly, Baxter is indeed our hero. When you love your pet like we do, every moment matters and so does the food we feed him. Our hero deserves a natural dog food. I am familiar with the Chicken Soup for the Soul series of books, but wasn’t familiar with their pet food line. In fact, they’ve been making natural pet food for over 10 years. Knowing the name, “Chicken Soup for the Soul” like I do, I was excited about trying the Chicken Soup for the Soul dog food. It’s wholesome and balanced, super premium pet food, proudly made in the USA, with real meat as its first ingredient and fruits, vegetables, and herbs. They know that our pets deserve pet food made with the freshest and purest ingredients… a pet food fit for a hero. You can find your nearest Chicken Soup for the Soul pet food retailer on their store locator website. 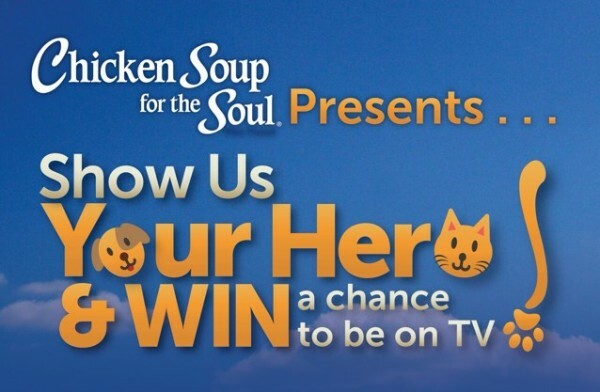 Enter your pet in the Chicken Soup for the Soul’s Show Us Your Hero & Win a Chance to be on TV. Just go to http://chickensoup.com/pethero and tell why your furry pet is YOUR hero for a chance to appear on Chicken Soup for the Soul’s Hidden Heroes on the CBS Saturday morning lineup. If your pet is your hero like our Baxter is our hero, feed him/her like a hero and be sure to enter them in the pet contest. I’d love to hear how your pet is your hero? What a fun contest. I would love to enter my Mother in law’s dog! I will tell her about this. This sounds like a great book. I love my dog and dogs in general. I love reading stories of pooches. This sounds like a great dog food. I will have to tell my mom and sister about the contest so they can enter their fur babies. I have loved these books for many years. I had no idea they had a dog food line. Great to know! What a great contest by Chicken Soup for the Soul! Pets are such a special and irreplaceable part of our lives. 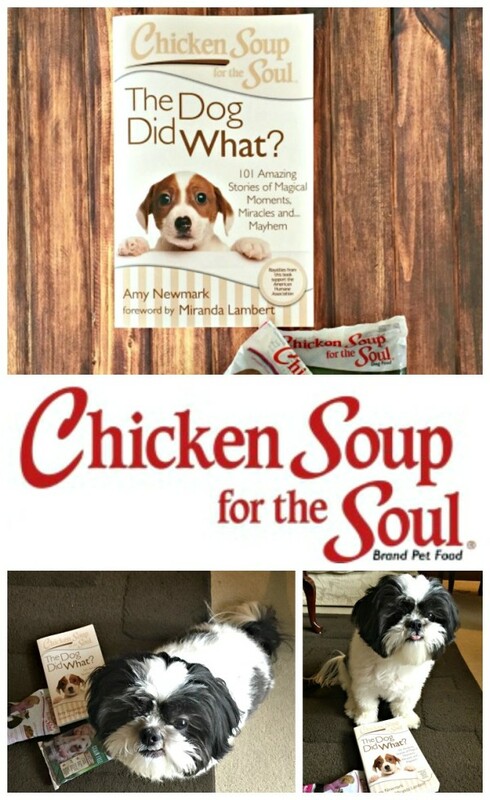 The Chicken Soup for the Soul pet food sounds perfect. I definitely want to treat our pets well. My pup is my hero as well! I try to feed him well and will for sure nominate him. Chicken soup for the soul books are my favorite. I own so many and love that this one is available to read. My daughter and I have found our favorites are the mother/daughter stories and any of their books about pets! I’ve loved their books for years & years, but had no idea there was a pet food line also. I need to check it out for my furry friends. This contest is perfect for my Sister. I will have to share this with her. My Mom loves all the Chicken Soup for the Soul books. This is so cool! I love their books and had no idea they made pet food. My dog Hurt (who has now passed away) was for sure my hero. I got him shortly before my dad passed away. My dad loved him and he cheered him up after his diagnosis. After my dad died having Hurt gave me a reason to get up some days. If not for having to walk him I might have stayed in bed being sad. I really have to agree, dogs are definitely one of my heroes! And wow, I never knew that Chicken Soup For the Soul had pet food. You learn something new everyday!